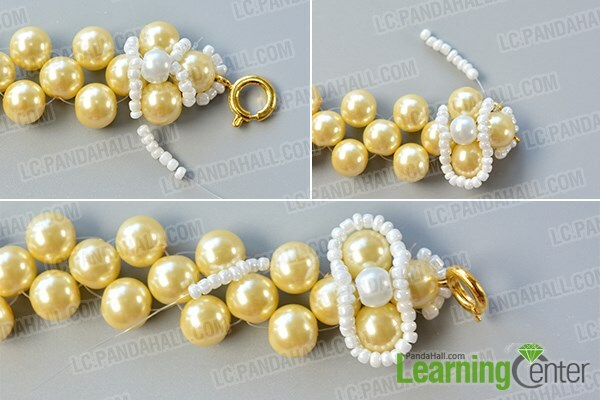 Summary: Do you want to make this fashion pearl necklace at home? Follow this detailed tutorial and you will figure out how to make it. 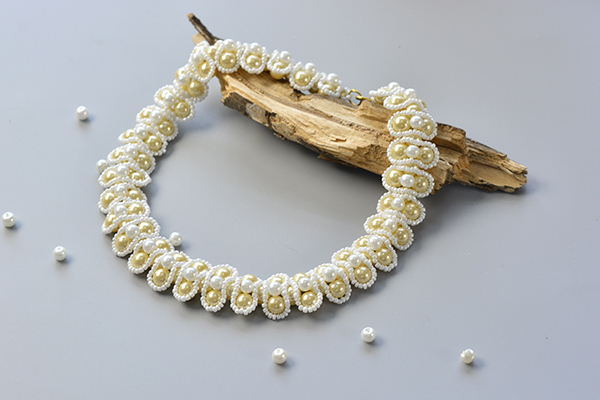 You might guess this wedding pearl necklace is hard. But do not make your decision so soon. Actually, this tutorial already helped you divide the work into four parts. So, if you are willing to devote some patience, just follow me to complete it step by step. 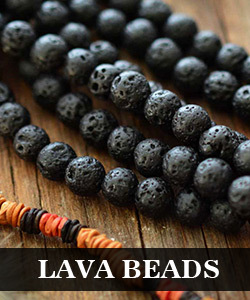 4th, cross the wire through two beads then repeat the former process. 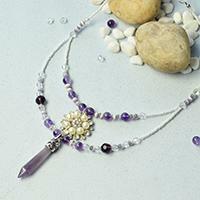 In this way, make the first layer of the necklace. 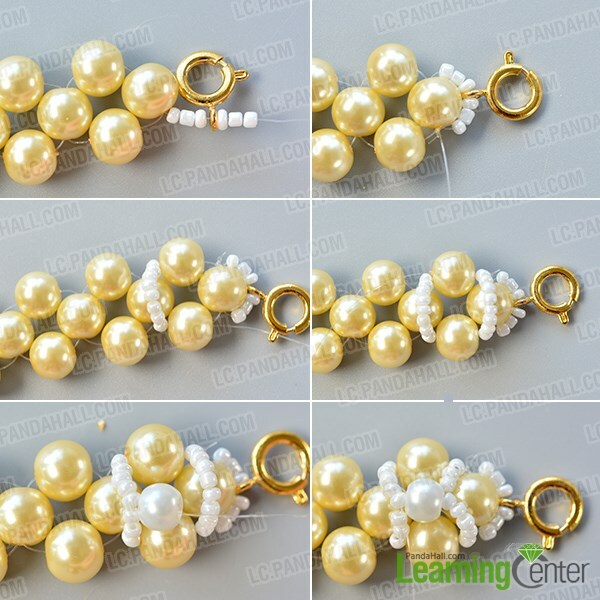 6th, cross the wire through two white seed beads, then cross the wire back the 6mm white pearl bead. 3rd, cross the wire through some white seed beads to complete the circle. 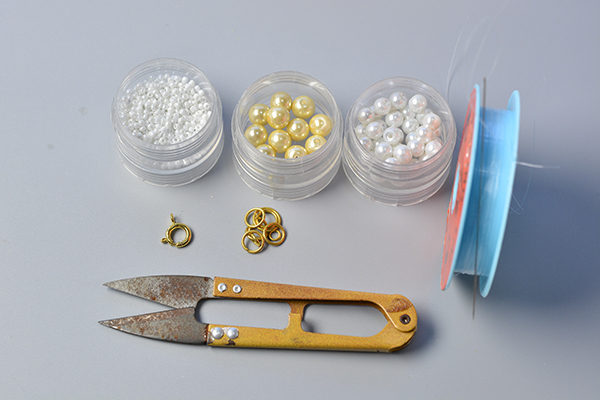 2nd, attach a golden jump ring to another end of the necklace. 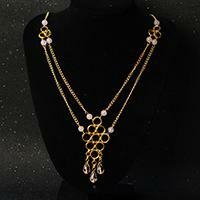 This is the final look of this fashion pearl necklace. 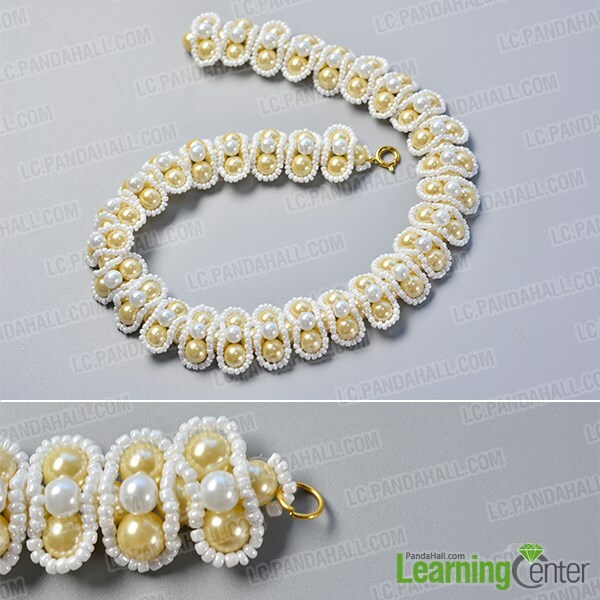 Do you love this homemade pearl necklace? It will be a great pity if you won’t make it. 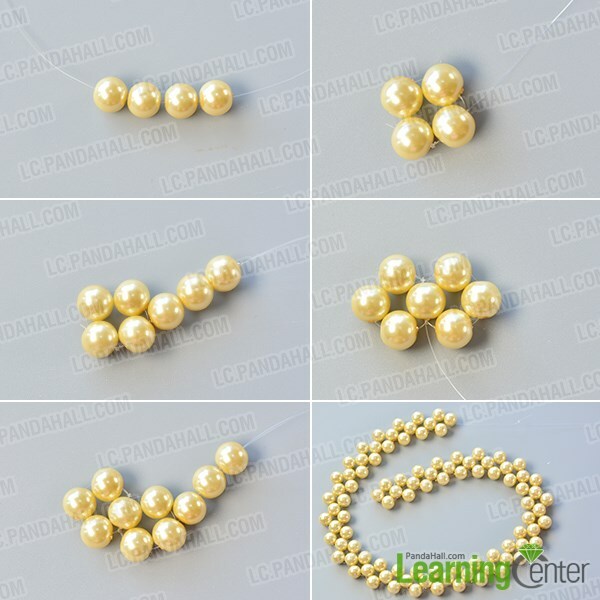 For example, when you attend a dinner party, this white pearl bead necklace will help you attract more attentions. So, do not hesitate and make one for yourself.